Pottery Barn experienced a run on apothecary tables after "Friends'" character Rachel Green bought one for her apartment in a popular episode of the TV series. Viewers decided that if the table looked good in Rachel's spacious New York apartment, it would be perfect for their own homes. It's not just inanimate objects that become fads. Movie and TV viewers also tend to adopt or buy pets based on the animals they see in their favorite films and programs. Here are a few breeds that have become popular after appearing in a TV show or movie. Rin Tin Tin, the German Shepherd star of silent movies in the World War I era, started the first pet fad. Everyone wanted a German Shepherd that was as loyal, smart and brave as Rin Tin Tin. Breeders met the demand for the dogs by overlooking standard breeding practices that ensured that puppies were strong, healthy and conformed to breed standards. As a result, today's German Shepherds are prone to developing heart problems, hip dysplasia, cancer and gastric issues, according to a Dogster article. Thousands of people decided that they just had to adopt Dalmatians after viewing the cute, spotted puppies in the film version of "101 Dalmatians." Unfortunately, real life is a lot different than reel life. 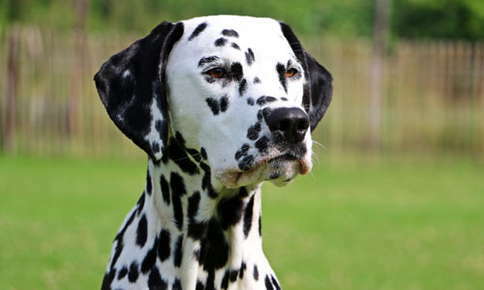 Dalmatians acquired from breeders, rescue groups, and animal shelters can't perform the same tricks as their on-screen counterparts without hours of training. Within a year after the movie aired, many shelters saw huge increases in unwanted Dalmatians, according to a September 1997 New York Times article. Lassie was the kind of dog every family wanted in the 1950s. The collie was the perfect companion to TV's Timmy, regularly rescuing him from difficult situations. Unfortunately, the same type of breed problems that occurred with German Shepherds after the popularity of Rin Tin Tin also happened with collies. As a result of mass production, health and temperament problems increased for some of the dogs. You may not be able to buy a fictional direwolf, but you can purchase or adopt a Siberian Husky, a dog that looks very much like Jon Snow's best friend. In fact, the demand for the breed increased significantly after "Game of Thrones" became a hit TV show. Although Siberian Huskies certainly look impressive, they're not necessarily the ideal dog for everyone. In addition to their positive traits, such as loyalty and friendliness, the dogs are very high-energy and notoriously difficult to train. Animal shelters soon saw a surge in unwanted Huskies as the show's fans discovered that caring for the dogs was much more difficult than they assumed. "Games of Thrones" actor Peter Dinklage even joined with People for the Ethical Treatment of Animals to remind fans that adopting a dog should be a lifelong commitment. Certain mixed breeds often become popular after they're seen in the company of actresses or actors. Labradoodles, the result of breeding Labrador Retrievers with standard or miniature poodles, are known for their intelligence and friendliness. Tiger Woods, Jennifer Aniston and Lance Bass are among the stars who've adopted or purchased labradoodles. Cockapoos, the combination of cocker spaniels and poodles, are also friendly dogs known for their affectionate behavior with family members and strangers alike. They've become a favorite of Lady Gaga, Minka Kelly, Ashley Judd and other celebrities. Other "designer dogs" include the Goldendoodle (golden retriever and poodle), Chug (chihuahua and pug), Pekeapoo (Pekingnese and poodle), Puggle (pug and beagle) and Yorkipoo (Yorkshire Terrier and toy poodle). Should You Adopt One of These Pets? All of the breeds listed above can make excellent pets, as long as you understand the needs, potential health problems and temperament of the various breeds. Although a Siberian Husky might not be the best choice if you live in an apartment, the breed may be a better option if you have a large yard, time for multiple walks a day, infinite patience for training, and an appreciation for the finer qualities of the breed. Labradoodles make fine family pets, but aren't the best choices if you're hoping to avoid a flare-up of your allergies. Although the breed was initially touted as hypoallergenic, that doesn't seem to be the case. A full-bred poodle or another breed may be a better choice if you're allergic to dogs. Regular veterinary care is essential no matter what breed of dog you choose. If you've recently added a furry friend to your household, or it's time for your pet's checkup, contact us to schedule an appointment.